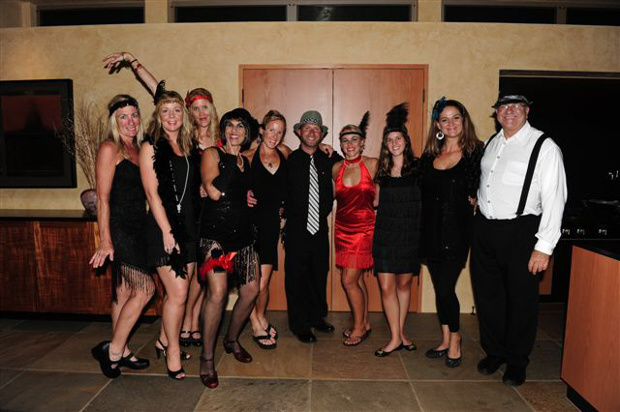 The Bayside Catering Crew show ’em how it’s done with a Roaring 20’s New Year’s Eve Theme Party, catered and organized by Bayside Catering’s own Theresa Finch! From food to beverages, Bayside Catering is known for creating unique experiences with our combination of event strategy, custom menus and culinary execution. Want to find out how Bayside Catering can help you create an event to remember? Give us a call today! Bayside Catering is Maui’s favorite catering solution! For anyone planning a Wedding, Corporate or Special Event, Family Barbecue or Private Party, Bayside Catering has the experience and taste to handle any occasion. Inside our site you’ll find everything you need to help you design an affair to remember. As you plan your celebration, do not forget Bayside Catering – the Maui’s Fun Food people since 1992!